One of the first on the list, given Baby Star's imminent arrival(! ), is the nursery. 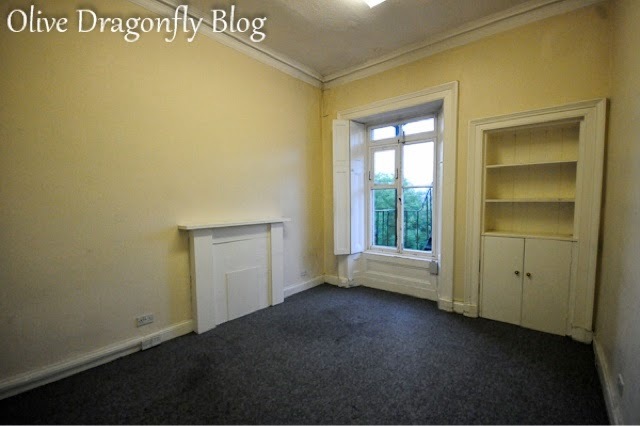 Here's how the room looked originally the night we got the keys. What you might not be able to see from the photo is the water damage in the top left corner, impacting the ceiling, cornice and wall, and the rather delightful wood chip wallpaper on the ceiling. This has all now been removed, the sprinkler system has been fitted, pipes for the new radiator and all wiring for tv, internet, lights etc has been done. The window has also been replaced, the old one had been cut down the middle to open outwards on to the fire escape (which you can also see through the window). Despite thinking about the overall look of the nursery for a while, I still can't decide on a colour for the walls. 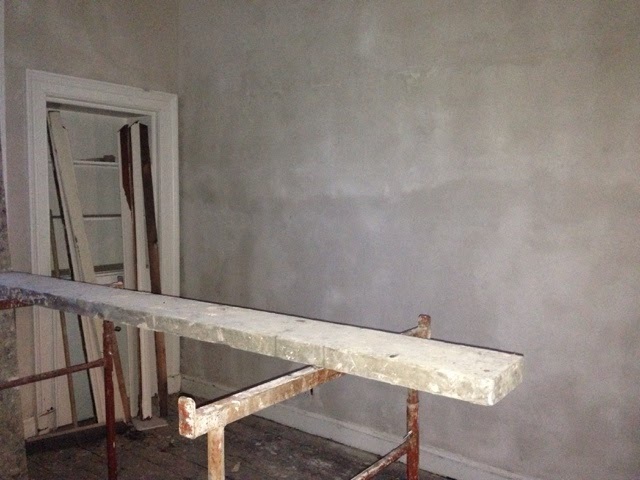 The ceiling and wood work will all be painted white and the big wall opposite the fireplace is going to have lovely, colourful star wallpaper on it! 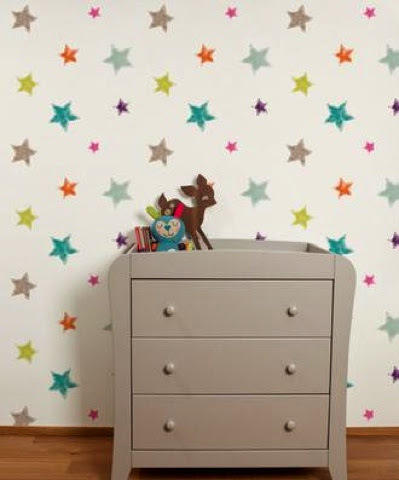 It's from Mamas and Papas and I love that the stars are in a good mixture of colours including pink and blue. 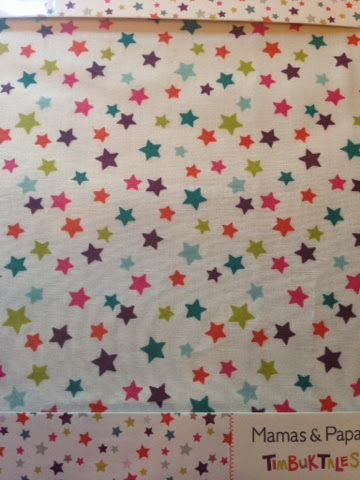 I also bought the matching sheets for the cot and they are amazing. Despite an endless amount of colours working in the room, I just can't decide is what colour/s to paint the other walls.....any suggestions peeps? As you can see from the pictures, the room has a fireplace in it. It's not a working fireplace and has been properly sealed off etc., but I do plan on using it as a feature for the room. I saw the below imagine on Pinterest and just loved it. I think I'm going to go with a rhino head on the wall though, as Bex and I saw one at a craft fair before Christmas and I fell in love with it. Baby star doesn't actually have many cuddly toys yet, Joshua (big cousin number two) has kindly kick started the collection with a cute little giraffe so I'm keen to continue the animal trend and get a lion, monkey, elephant etc. Can anyone recommend somewhere good to get some fun and cute animal cuddly toys? 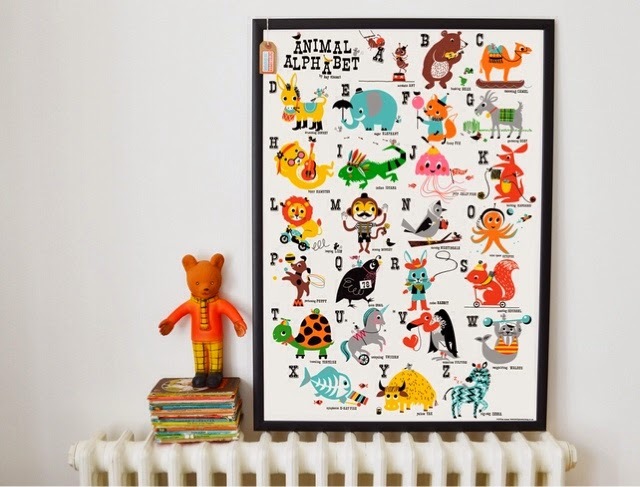 Thanks to twitter and the lovely Lorna, I discovered this amazing print from Ketchup on Everything, which I've ordered for the wall as it fits in nicely with the animals in the fireplace. 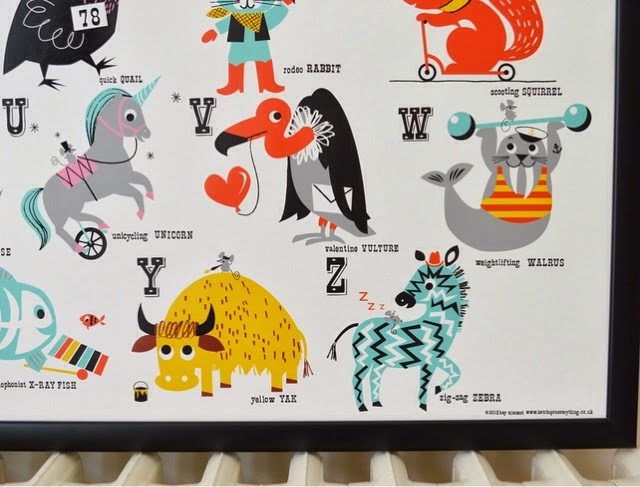 I love how colourful it is and the fact that both the animals and adjectives are sometimes quite random :) And there's a unicorn! 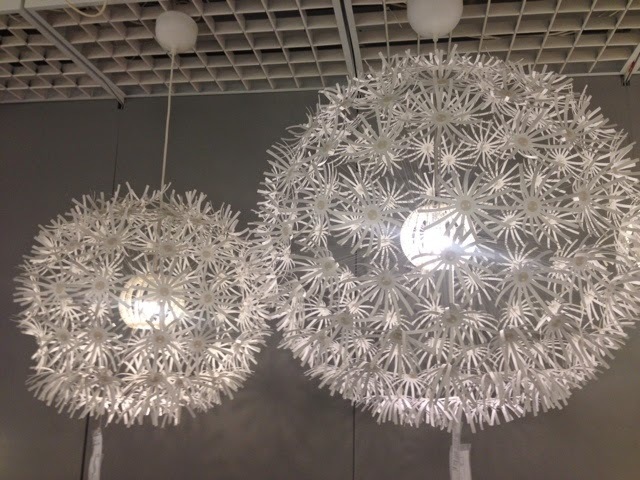 We've also picked the light fitting for the room, it's the big version of the IKEA dandelion light above. With the really high ceilings in the house we've been struggling with picking lights that will have an impact without costing a fortune (my search for three pendants for above the kitchen island continues...) and when we saw this we both liked it. Then I read that it casts shadows of the petals / fluff around the room and ceiling and I started to love it. Still not sure what it will actually look like up, as we need to paint the ceiling etc. before installing it but isn't it pretty? 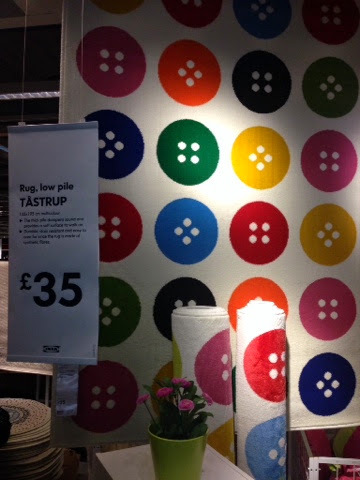 Another recommendation came from another lovely twitter lady, Frankie, who instagrammed a picture of this rather fabulous IKEA rug she had bought for her wee boy's nursery. Again I just loved the mix of colours and at that price for such a big rug, thought it would be ideal to 'protect' the carpet in the nursery. We bought the rug at the same time as the light and now both of them are sitting staring at me in the nursery, screaming at me to finish decorating so that I can unwrap these purchases and build the nursery. 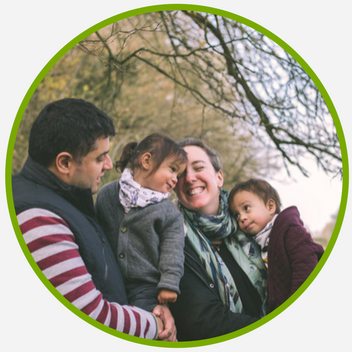 Exciting times people, I have the biggest grin on my face just writing this blog post. Cannot wait to meet Baby Star in 4 weeks time!! What do you guys think of our plans for the nursery? Any ideas on a colour scheme would be great. Oh 4 weeks, how exciting! 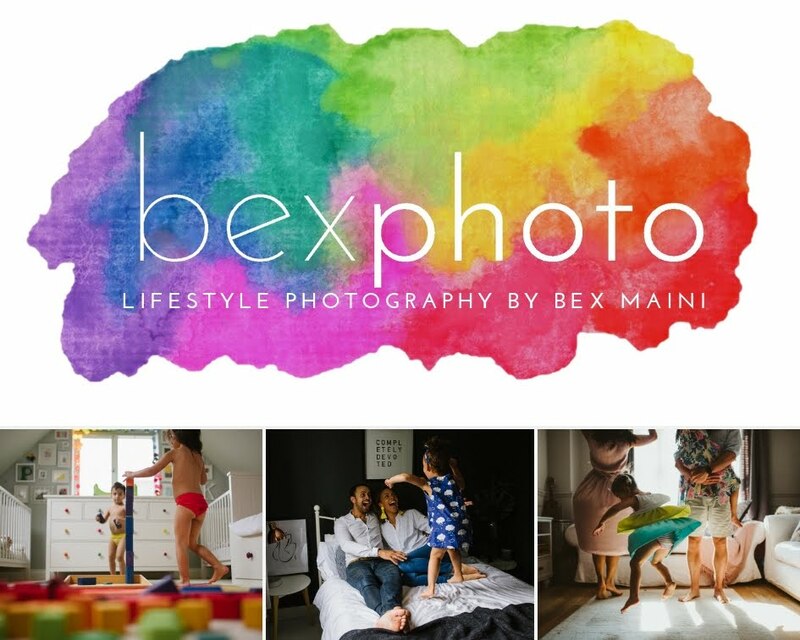 I love the wallpaper, I think Bex is going to be with me in that the walls would be nice in a nice, toned down, olive / pistacchio / lemon green (like some of the stars). Otherwise I would go for the aqua blue (yes, even for a girl). Our nursery is also based on a *many colors * scheme. As for the plush toys: the WWF has all kinds of wild animals (that's where we found Yu's flamingo), also if you get them you help their cause. And... I recommend you get the Aden&Anais swaddles in the animal prints as well, while we're on the animal theme (they come with elephants, monkeys, giraffes and bird). Am de-lurking to agree with the neutral walls and also to recommend Jellycat toys. Somebody got us a gorgeous Giraffe when our son was born and it's really soft and lovely. Think they do them in John Lewis. Nursery is going to be fab- how exciting to start having rooms close to completion!! I'd either go neutral wall too, or maybe a very pale pistachio colour. Depends on what you're thinking for the flooring shade. I love that rug! I bought some brightly coloured curtains for my living room and love them, really wish that rug matched the colours! I second Jellycat toys. Totally gorgeous. We have been bought some for our four week old but I have loved them for years. It all looks amazing; baby star is very lucky. 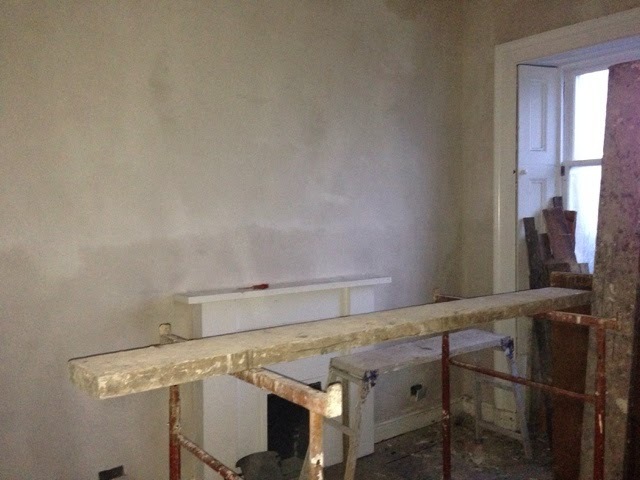 I would do the other walls a light grey I think, it always looks great against bright colours or just make them white. 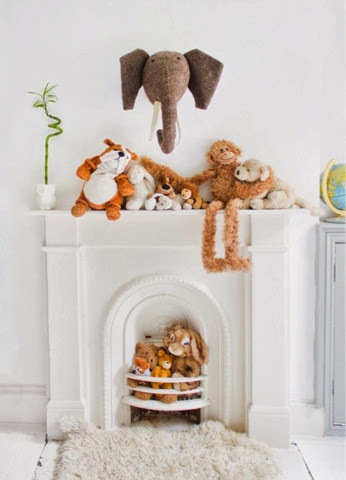 Also second the jellycat toys recommendation, they are all gorgeous and Holden has a bunny, giraffe, dog & goat and he also had a lion from the White Company which is so soft & gorgeous as well. You can see them all in my nursery post. We've got that rug in A's nursery! It was the basis for the room (brights/dots/buttons), I love it. Also love the rest of your plans, I'd go for a neutral paint colour but I am not very adventurous when it comes to painting! I'd go for duck-egg blue. It's going to look wonderful! What a welcome for Baby Star.